For doors 1" thick and up weighing up to 325 lbs/door. A heavy duty commercial and residential grade sliding door hardware series ideal for design applications which require the movement of heavy panels, space dividers or large doors. A heavy duty commercial and residential grade sliding door hardware series ideal for design applications which require the movement of heavy panels, space dividers or large doors. For by-passing doors mount parallel tracks. 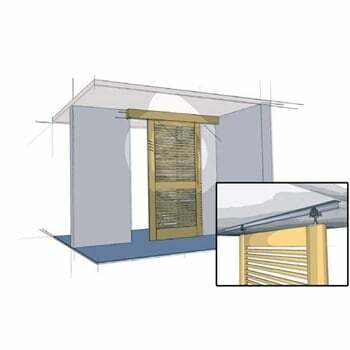 For bi-parting doors use an additional hardware kit. For pocket doors use optional bumper stops. Grant Top Line 1230 hardware set with 6 foot track. Includes: 2 carriers 1205 precision ball bearings, 1 floor guide 7015, necessary screws, installation instructions. Grant Top Line 1230 hardware set with 8 foot track. Includes: 2 carriers 1205 precision ball bearings, 1 floor guide 7015, necessary screws, installation instructions. 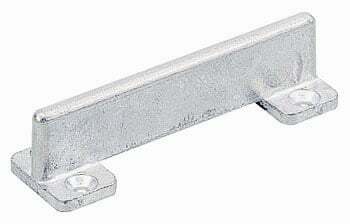 Hettich/Grant Bumper Stop 1213. 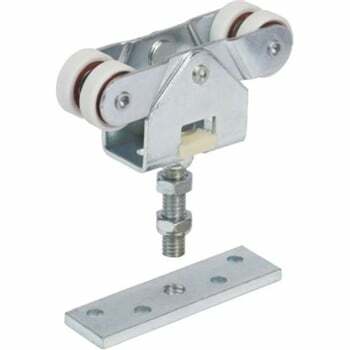 Used with Grant Top Line 1210, 1230 hardware and Grant 1201 series "I" beam door track. Hettich/Grant Top Line 1201 Track 8 feet long. 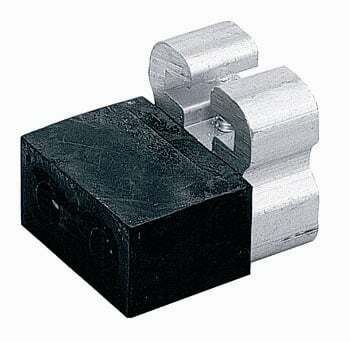 Used with Grant 1230 hardware set or Grant 1210 hardware set. Hettich/Grant Top Line 1230 Hardware Set. Includes: 2 of carrier 1205 w/ball bearings, 1 of floor guide 7015, screws and instructions. Used with Grant 1201 series tracks. Hettich/Grant Floor Guide 7015. Used with Grant Top Line 71-222, 71-138 hardware. Carrier 1205 W/ball Bearing, 325 lb. Hettich/Grant Carrier 1205 W/ball Bearing Steel, precision ball bearing wheels, up to 325 lbs/door (102 kg/door) Used with Grant 1201 series tracks. Hettich/Grant Top Line 1201 Track 6 feet long. 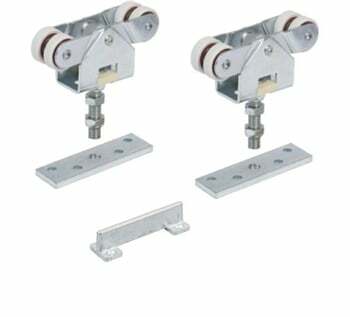 Used with Grant 1230 hardware set or Grant 1210 hardware set.